It is increasingly clear that the situation faced by the Yezidis of the Sinjar region in northern Iraq can only be described as genocidal. Thousands have been slaughtered and tens of thousands are facing death from starvation and thirst, if not from the bullets of the so-called Islamic State (or ISIS, as it conventionally designated), as they hide in remote reaches of Sinjar Mountain. Christians and members of other religious minorities are also at a heightened risk of extermination in the expanding ISIS-controlled territory. Thus far, the government of the United States has conducted a few humanitarian air-drops for the Yezidis, although reports are now circulating that that has begun or is at least considering military strikes against ISIS, actions that the Pentagon currently denies. But more to the point, by having previously thwarted the ability of the Kurdish Peshmerga to defend its territory and fight the militants, the government of the United States bears some responsibility for these horrific developments. Such U.S. actions and inactions stem largely from its vain insistence on trying to revive the moribund Iraqi state, which in turn is rooted in the discredited ideal of intrinsic nation-state integrity. Most reports on the Yezidis mention the unusual nature of their religion, but often do so in a misleading manner. The Yezidi faith is typically described as a blend of beliefs and practices stemming from ancient Persian Zoroastrianism and other distant sources. Such an assessment may be reasonable, but one could just as easily depict Christianity as mere mélange of Jewish, Zoroastrian, and neo-Platonic ideas. In actuality, Yezidism is very much its own faith, although it does have close affinities with other belief systems, such as that of the Shabak people. The specific nature of the Yezidi religion, more importantly, makes its practitioners especially vulnerable to extremist interpretations of Islamic law. The Yezidis follow what is sometimes called a “cult of angels.” To them, God is a remote entity who has entrusted creation to seven spiritual being, the most important of whom is Melek Taus, the Peacock Angel. 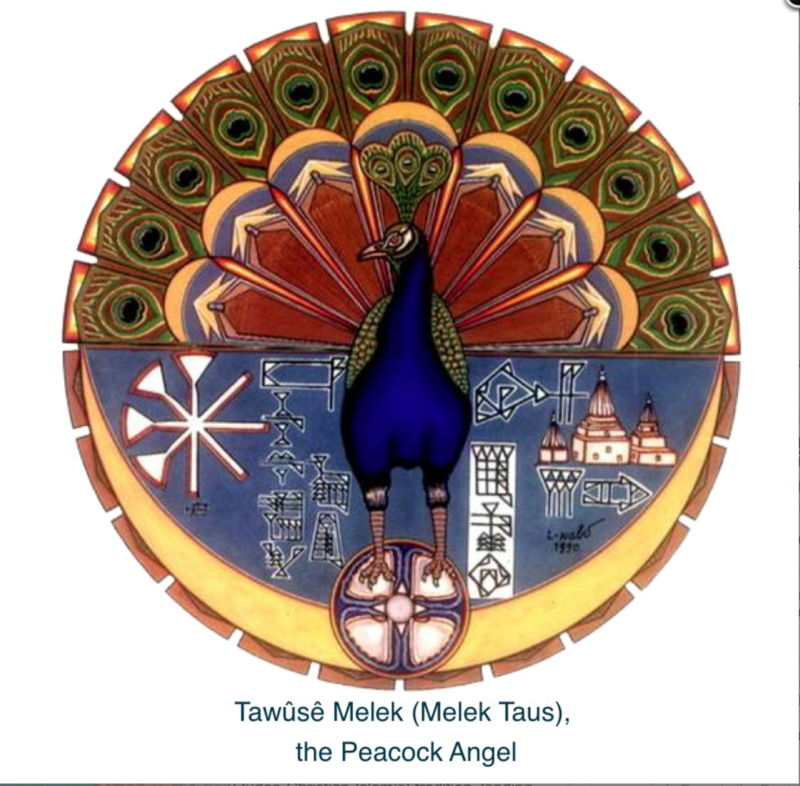 Melek Taus, however, is often identified with the fallen angel of the Jewish, Christian, and Muslim traditions, Satan (or Shaytan), leading to pejorative descriptions of Yezidis as “devil worshipers.” In actuality, Yezidism has nothing to do with Satanism in any form; to followers of the faith, Melek Taus is a benevolent being who repented his refusal to submit to Adam and was hence restored to his rightful place. Yezidism is in actuality a profoundly non-dualistic and generally peaceful faith. 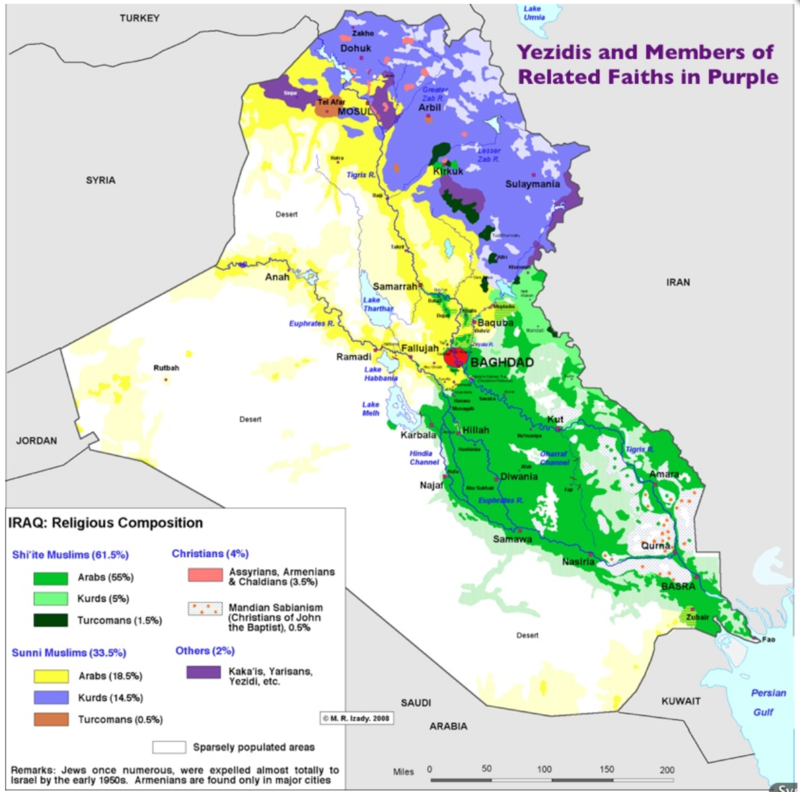 Yezidis do not proselytize or accept converts, and they largely keep to themselves. One of the more intriguing aspects of the faith is its spiritual abhorrence of lettuce. I showcase the Yezidis when I lecture on religion in the Middle East for two reasons. First, the existence of this faith, like that of many others, demonstrates the historically deep level of religious diversity found in the area that is often called the Fertile Crescent and is sometimes deemed the Heterodox Zone. Second, it shows that the realm of Islam was in general historical terms more religiously tolerant than Christendom. I cannot imagine a group like the Yezidis having survived in late medieval or early modern Europe: crusaders and inquisitors, such as the grotesquely misnamed Pope Innocent III, would not have allowed it. 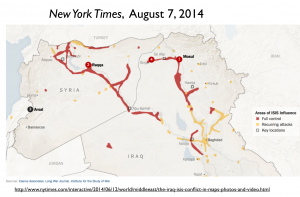 But as the rampages of ISIS and related groups thoroughly demonstrate, the situation has changed drastically. Today, this same region is marked by the world’s most extreme level of religious intolerance and persecution. Some reports claim that ISIS leaders have given the Yezidis the same three-fold ultimatum thrown at the Christians of Mosul: either immediate conversion to Islam, or acceptance of subordinate dhimmi status and payment of the jizya tax, or face death. 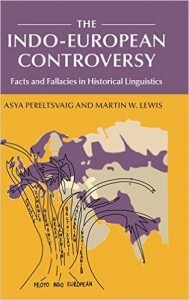 The middle option, however, is hardly assured: hyper-fundamentalist interpretations of Islamic law demand dhimmi status for the “peoples of the book” (Jews, Christians, and few others), but those regarded as full-fledged idolaters, much less “devil worshippers,” are not necessarily accorded the same “respect.” But even when it comes to Christians, ISIS demands for the acceptance of dhimmi status appear to be largely pro forma, as the goal is apparently the complete cleansing from their would-be state of everyone who is not a Sunni fundamentalist. After suffering for years, the Yezidis are at long last getting some attention. But mainstream media outlets still tend to downplay their plight, devoting vastly more attention to other far more familiar and less newsworthy matters. Other deeply persecuted Iraqi religious minorities, such as the Mandaeans who have suffered at the hands of Shia militias, receive even less attention. The destruction of Assyrian and other Christian communities gets a little more press, but it too has failed to spark widespread public outrage. I have some difficulty understanding why such horrors are so widely disregarded. Ignorance is surely at play, but so too is partisan politics. I suspect that in the United States, many Republicans prefer to look away because the situation reflects poorly on the Bush administration’s Iraq policies, just as many Democrats do the same because it reflects equally poorly on the Obama administration. Other observers wrongly and spinelessly conclude that genocide in this region is simply none of our business. In regard to the Assyrians, several pundits have argued that they are “too Christian” for the left to care about and “too foreign” to concern the right. When it comes to the Yezidis, several sources have stressed the “tiny” size of the group, as if scant numbers somehow make persecution less objectionable. Yet in actuality the Yezidis are a substantial group, with roughly the same number of adherents as the population of Boston, Massachusetts (some 600,000-700,000). Can one imagine the dismissal of Boston on the grounds that its population is “tiny,” not even amounting to a million souls? Unfortunately, American actions have hindered the ability of the Kurdish Regional Government (KRG) to protect the beleaguered minorities of northern Iraq, and the KRG is the only organization that can offer any effective protection. In the tussle between the impotent “national” Iraqi government and the Kurds, Washington has sided firmly with Baghdad, unwilling to do anything that could potentially undermine the fictional integrity of Iraq. The American government has even tried to prevent the Kurds from selling their oil on the open market, as this goes against the wishes of Nouri al-Maliki and company. Deeply strapped for money, the KRG has been unable to provision its troops defending such places as Sinjar, thus forcing it to pull back, placing hundreds of thousands of people at the risk of mass murder. The more recent rapprochement between the KRG and the Iraqi state is indeed a hopeful development, but for tens of thousands of Yezidis it is too late and too little. In defending the territorial integrity of Iraq, the United States is trying to prop up a corpse, as the country so depicted on our maps no longer exists. As a nation, it never did. As is well known, Iraq was imposed by British colonial authorities, and the state that they created never enjoyed genuine emotional resonance with the majority of its inhabitants. Iraqi national identity has always been superficial at best, thus requiring brutal dictatorial force to ensure state coherence. When that force was removed with the ouster of Saddam Hussein and free elections were eventually held, the disintegration of the country accelerated. The notion that diplomacy, patient nation-building, another regime change, or any other imaginable political process could somehow heal the wounds and allow the reconstitution of Iraq as a functioning nation-state is little more than fantasy. Basing American policy on such wishful thinking indicates an appalling abnegation of both intellectual and moral responsibility. Such self-destructive behavior on the part of the U.S. government has all the indications of lunacy. But such madness is seldom recognized, as it is far too deeply entrenched to attract attention. The same policies, after all, have been followed by all recent Republican and Democratic administrations, just as they are relentlessly pursued by virtually every national government the world over. The world’s sovereign states form a club and hence act in a stereotypically clubbish manner. Carcass states such as Iraq and Somalia remain members in good standing despite their abject failure, while highly functional non-members, such as Iraqi Kurdistan and Somaliland, do not belong and are therefore shunned, treated as if they do not exist. In a brilliant book, Stanford political scientist Stephen Krasner refers to the resulting international system of mutually recognized sovereignty as “organized hypocrisy.” To the extent that it propels such events as the genocide of the Yezidis, it might be better described as organized psychosis. The international diplomatic system shows symptoms of insanity because it is based on a figment of the imagination: the nation-state. 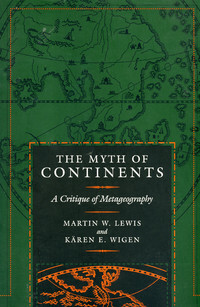 A few sovereign countries do indeed approach the nation-state ideal, in which a self-conscious political community strongly identifies with a particular state across its entire territorial extent, but—as GeoCurrents has noted on numerous occasions—most fall far short of this model. 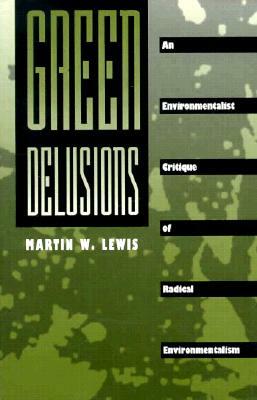 Yet the fundamental premise of the international system is the permanent reality of this mere ideal across the world. 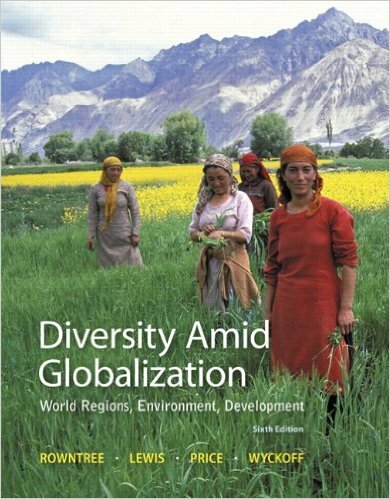 To be sure, it is widely recognized that many countries have been artificially created and thus had no preexisting national integrity, but they are all supposed to have seamlessly “constructed” national solidarity through education, economic development, and political inclusion. In actuality, many never have, and quite a few never will. The fallacy of the nation-state provides a powerful explanation for the debacle of the U.S.-led campaigns to reformulate and rebuild Iraq and Afghanistan in the early 2000s. It was widely assumed by many leading experts that Afghanistan and especially Iraq would present easy wars followed by undemanding and self-financing processes of democratic reconstruction. Both countries were assumed to be coherent nation-states that merely needed a change of regime and a little nation-building assistance to emerge as stable, self-determining U.S. allies. Although the initial battles were far less challenging than the anti-war movement had anticipated, the subsequent occupations proved vastly more difficult than what the neo-conservative war-supporters had imagined. Nation-building was doomed to fail in these cases because neither country has ever approached nation-state status. The obsession with preserving the existing international order of ostensible nation-states derives from a concern for geopolitical stability. Abandoning the idea of the intrinsic unity of a country such as Iraq or Somalia by acknowledging instead the reality of Iraqi Kurdistan or Somaliland, such reasoning has it, would potentially destabilize the global world order. It would do so by encouraging other disgruntled ethnic, religious, or regional groups to seek their own independence, thus fostering secession, rebellion, and warfare. This argument, however, fails from the onset by assuming a degree of international stability that simply does not exist. 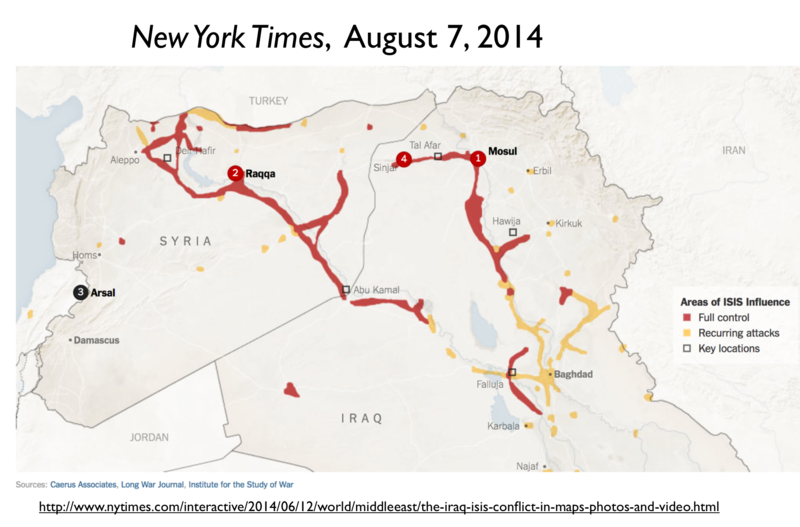 In actuality, Iraqi Kurdistan and Somaliland are islands of relative order in seas of chaos. More fundamentally, the unwillingness to deal with such unrecognized states in deference to the established (dis)order invokes a “slippery slope” argument that can be used to justify any aspect of the status quo, regardless of how non-functional or maladaptive it has become. Iraqi Kurdistan and Somaliland deserve to be dealt with as actual states not merely because of their leaders’ desires, but rather because they have created relatively stable and reasonably representative governments with acceptable levels of human freedom out of the fractured territories of internationally recognized states that are in reality hyper-unstable and deeply repressive. As the same cannot be said for the vast majority of the world’s myriad separatist movements, no dangerous precedent would thereby be set. Yet in actuality, just such a dangerous precedent has indeed been set by the same international community in regard to South Sudan. South Sudan was allowed to emerge as a recognized sovereign state not because its leaders had built effective institutions and demonstrated a sustained capacity for self-rule, but rather because they had waged a interminable war of independence against the Khartoum government that finally exhausted the patience of many world leaders. At the time, I fully supported the independence of South Sudan, owing largely to the atrocities that had been committed against its people by the government of Sudan. But the hideous civil war that has subsequently undermined “the world’s youngest country” calls into question the wisdom of this maneuver. Successfully fighting against a common enemy by no means ensures the ability to construct a viable state once that war dies down. Significantly, Iraqi Kurdistan could have gone the way of South Sudan. 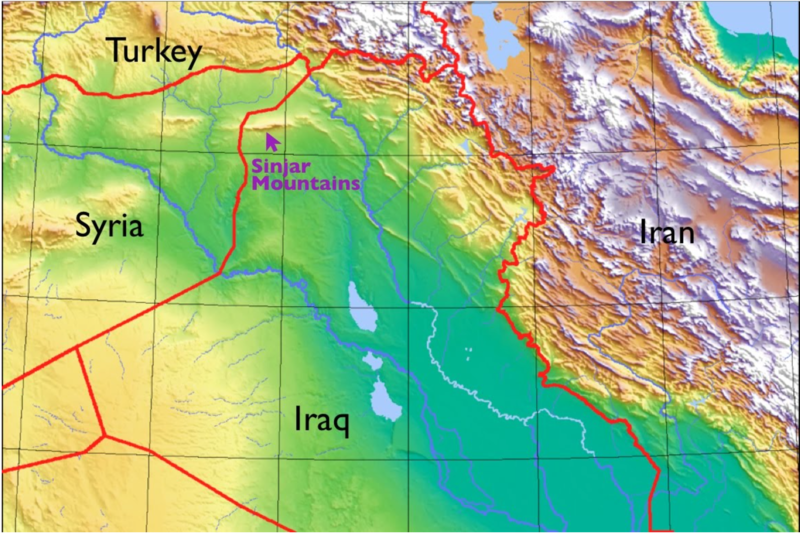 Tensions between its Kurmanji- and Sorani-speaking areas (by linguistic criteria, Kurdish is a not a language but a group of languages) have been pronounced, contributing to a brief armed struggle between the Patriotic Union of Kurdistan and the Kurdistan Democratic Party in the 1990s. But although friction remains, the Kurdish people have been able to surmount their problems and construct an effective state. Yet now the United States insists that they scale back their ambitions and instead accept subordination within the decaying geobody of Iraq. No amount of successful nation- and state-building will ever do, they are effectively told by the U.S. government, and as such they will never be granted a state of their own on such a basis. If, on the other hand, they were to reject such efforts and instead focus their attention on actively making war against the Baghdad regime, then perhaps they may follow South Sudan and eventually be awarded their own recognized state. I do not see how such a policy can be regarded as anything but delusional. The Clinton Administration was widely accused of complicity in genocide for its lack of action as the Tutsis of Rwanda were massacred in the 1990s. Preventing this instance of genocide, however, would have been very difficult. 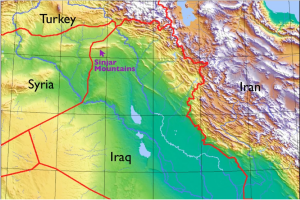 Preventing the slaughter of the Yezidis, however, would have been very easy, as all that would have been necessary was the provisioning of a little military assistance to the Kurdish Peshmerga, a force that, quite unlike Iraq’s “national” army, is willing and eager to defend the people of the region. The Obama administration’s refusal to do so in obeisance to the illusion of Iraqi national unity is a disgrace, indicating both moral cowardice and abject unwillingness to see the world as it actually is. What really leads me to despair, however, are my doubts that any other American administration would have acted any differently, as the paralyzing delusion of the nation-state is too deeply embedded to be dislodged by mere reality, no matter how blood-drenched that reality turns out to be.